We’ve had our shades on and been soaking up the British sunshine here @HootSuite_UK. We’ve been busy Hooting at Liverpool Soundcity this week and we’ve got lots more exciting events coming up in the next month. Once again, HootSuite Community Wrangler Shain Shapiro and our team of owls will be hosting a handful of activities throughout the country, as well as working on exciting new projects to get us in the summer spirit. The Corrs? Guinness? Temple Bar? Yes, we love Dublin. So we Hoot Hooted away across the bar to one of our favourite cities for a little HootUp. 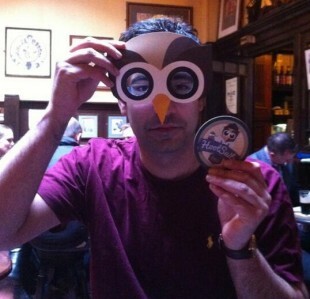 HQ Owls’ Peter O’Sullivan and Ramen Kooner offered Guinness and social media tricks of the trade at this social HootUp. Thanks to all that came, if you didn’t make it check out the Storify here! HootSuite were busy Hooting away in Liverpool last week and were the official Social Media Partner of Liverpool Sound City, that ran from May 2nd-4th. Shain Shapiro and UK Ambassador Allan Blair Beaton were involved in a couple of panels and roundtable discussions, as well as hosting a special #LSCHootUp. If you didn’t manage to make it to Liverpool Soundcity but are interested in music and social media, check out our blog series on Using HootSuite for Music! Rugby? Double Dragon? Lavabread? Yes. We love Wales. So, we Hoot Hoot Hooted on to Cardiff for our first Welsh Hootup. HootSuite UK Ambassador Allan Blair Beaton and Welsh Diplomat Jay Perkins were sharing their top social media tips at Ten Feet Tall in Cardiff. A big thank you to all those that came down! 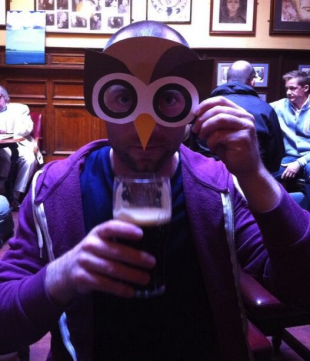 HootSuite is returning to Scotland! After the success of Social Media Week last year our UK Ambassador Allan Blair Beaton and Scottish diplomats Jennifer Tough, Steve Sefton and Matthew Marley are ready for some social media neeps, tatties and ale with our venue partner, @29 Studios on May 16. A wonderful venue to host what should be our largest HootUp ever. Register here to share an ale and some chatter in Glasgow. The #HootMission continues in the UK, as HootSuite recruits Diplomats and Campus Ambassadors to the Community program. We have had an amazing response and are pleased to announce Jon Morter, Amplified Media and Joe Schiavon have joined our owl recruits. If you fancy joining the team, please send a DM to @HootSuite_UK. In Cardiff, diplomat Jay Perkins hosted his first #CardiffHootUp, focusing on finding business through social media and audience building. Meanwhile in Scotland, Zap Designs, Jennifer Tough and Matthew Marley will be joining HootSuite Ambassador Allan Blair Beaton for a series of activities in Glasgow and Edinburgh. Also, a big Hoot out to Amplified Media for a great blog post on HootSuite and location based searching, read here. We love all our owls and want more to join us, so get in touch if you are interested in getting involved. Look Hoo’s Hooting: The Great Outdoors Edition! First up, if you fancy a dip… head to @pellspool in Sussex, the UK’s oldest Freshwater Lido, dating back to 1860. Shain Shapiro is the UK Community Manager of HootSuite. He does this through his London-based cultural consultancy, Sound Diplomacy. Through HootSuite, Shain manages events and workshops throughout the UK. His company, Sound Diplomacy also represents the Canadian Independent Music Association (CIMA), Polaris Music Prize, Canadian Music Week and fifteen others in the UK and Europe, programs Canada Day in London (the largest Canadian event outside of Canada) and New York and consults with a number of regional and national governments in the UK, Canada and Latin Americal. Shain is also a PhD candidate at Birkbeck, writing a history of popular music funding in Canada and teaches at universities in the UK, Spain and Germany.